Everyone wants a viral video — a video that spreads around the world capturing imagination of millions. But, the truth is — there’s no guaranteed formula to make content go viral. If there was, everybody would be doing it (duh!). 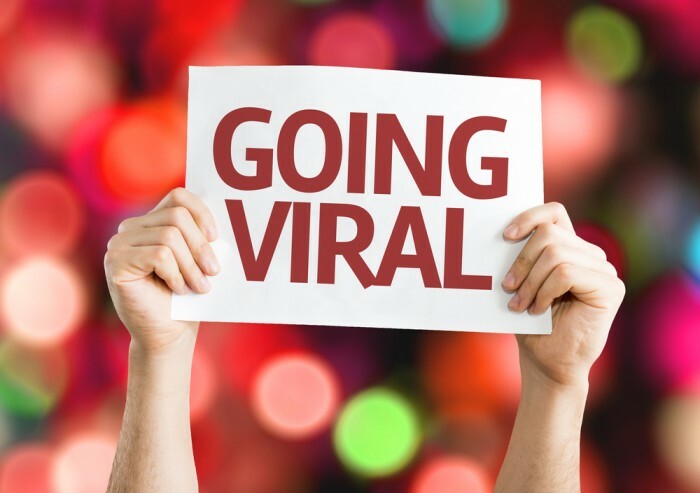 Nonetheless, there are some simple steps to increase visibility of content, which in turn could make it viral. Videos that open with their strongest content tend to do better than videos that get stronger a minute or later into their length. It doesn’t matter how good the content is – if nobody watches it all the way through, the message is lost. So, grab attention right at the start. Also, keep it short! Viewers today have little time to spare. The ideal video length is 3 minutes, but you can go even shorter as long as it’s engaging. Thumbnail of a video is more or less like the cover of the book and plays a significant part in grabbing attention. While it doesn’t need to be provocative, the thumbnail is the first thing that catches the eye. It could be one of the most powerful and descriptive screen-shots from the video or could be a specially designed image which describes the content, whichever is more effective. It is one of the most integral elements of a digital video and probably one of the most overlooked. Videos have most potential to go viral soon after they’re uploaded. Higher the number of views a video gets soon after it is uploaded, greater the chances of it getting noticed by search algorithms. So make sure your friends, fans and followers on social media are aware of the video and excited for it. Gently urge them to share it with their social circles as well. A video’s popularity will increase only if it appeals to the viewers. Generally, funny videos seem to have an easier time going viral, but that’s not a fixed rule. You can make viewers laugh, cry or just make them think about something differently – but get them to emote. More than 75% of videos which go viral are based on trending issue. If a video relates to something already generating heat on the internet and social media, it is much more likely to be viewed than other great videos which are not in sync with what people are currently talking about. Don’t be afraid to try something different and unique even if it seems a little edgy. Viewers are not constantly online, checking for videos. By the time most of them actually log on, your video could be way down their news feeds. A housewife is more likely to be online at 1 PM, on a Monday, when her husband and kids are not around. A teenager is more likely to be online on a Friday evening, trying to make plans with friends. Understand your target audience and upload the video just when they are most likely to be available and online, and you will greatly increase the chances of your video going viral. For more such tips follow Karmik Pictures, a fast growing independent production house in Mumbai that is focused on creating award winning video commercials for a gamut of brands in India. Their portfolio can be viewed here.